HAPPY NEW YEAR! - I wish each of you a very happy and prosperous 2013. Make every day, every week, every month, and every year count! Also, thanks to all of you who wished me well with my retirement from medicine... after 38 years, I've retired from my medical practice... but not from basketball. I'll have even more time to devote to Coach's Clipboard and coaching basketball, and of course I plan to live forever (so far, so good)! - Coach Gels. We finally got a 6"8" player this year, a 11th grader. You can't teach "height", but now that we've got him, we've got to help him become a great player and make that transition from junior varsity to varsity level play. A great big-man is more than just being big and tall. He/she must develop footwork skills as a lot of offensive play in the post is all about good footwork and having some basic post moves... the baseline drop-step, the jump-hook to the lane, the up and under move, shot-fakes, making a dribble-move from the high post or short corner, etc. We like the post player to catch the pass with a jump-stop, because now either foot can become the pivot foot. We like shoulder and head fakes, shot-fakes, anything that will get the defender to leave his feet. We like our post players to "seek contact" on the shot and get into the defender rather than shooting a fade-away type shot. By getting into the defender, it makes it hard for the defender to jump to block the shot, and we may not only get the basket, but a foul shot as well. When the post player goes to the hoop (rather than fading-away) he/she is in a position to rebound his/her own miss. In our post breakdown drills, an assistant will use a pad and have the player go right into him, learning to finish with contact. A good post player must learn how to get open for the pass inside. I see a lot of post players expending a lot of energy "grinding" inside for position against the defender. This may work if your defender is a little shorter or smaller and you can easily take him 1-on-1 in the low post. But this is wasted energy if your defender is bigger or taller and you find it difficult to score against him 1-on-1 in the low post. In this situation, flash to the high post and get the pass at the free-throw line area. Turn and shoot, and after making a couple here, next time the big defender comes up to guard you, make a shot-fake and use your quickness and dribble around him to the hoop for a lay-up. Use your quickness and get the big defender away from the basket, either at the high post or the short corner area. Click here to see a number of tactics that you can use to get open against both man-to-man and zone defenses. A great post player must be in good condition so he/she can maintain his aggressiveness throughout the game. He/she has to really "want" the ball on offense and be aggressive and strong in getting open, posting up, sealing, setting good screens, rebounding, etc. Strength training, time in the weight room, is time well-spent. A great post player must have "good hands" and be able to catch the pass, even bad passes and be strong with the ball, and be a good passer himself. He has to have "touch" and a good feel for using the back-board... 3 minutes of the Mikan drill every day is helpful in developing this touch. A great post player is also a good free-throw shooter. 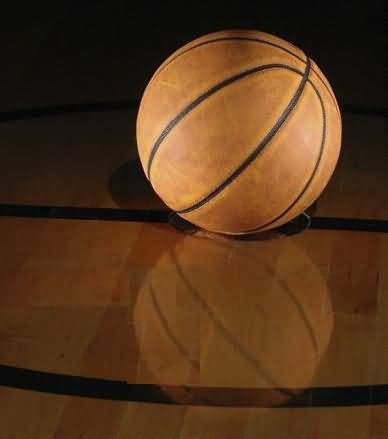 When the game is on the line, we want to get the ball inside for a high-percentage shot. In this situation, our post players will often get fouled, and they have to be able to step to the line and make those clutch free-throws when the game is close. Great post players are also great rebounders and great defenders. They aggressively block out and seek every rebound. They must know how to defend in the post without fouling, and must learn how to give help against dribble-penetration and inside cutters. A good inside defender will know when to go up for the shot-block, and when to keep his/her feet on the floor. How To Use "Check Downs" To Teach Half Court Offense... teaching players how to read the defense and choose the best play option. "50 Points Full-Court Drills" from Coach Sar. Updated the "Cutting and Faking" article. My golfing buddy and former NCAA (Oklahoma, Arizona State amd Colorado) and NFL (NE Patriots) football coach Chuck Fairbanks told me this story of when he was in high school here in Charlevoix, MI in the early 1950's. Chuck was also a good basketball player in his day and as a senior in high school, was invited by Michigan State to attend a few of their basketball practices over the Christmas break (legal in those days). Some MSU players taught Chuck the jump-shot... everything up until that time was a one or two-handed set shot with feet on the floor, and young Chuck couldn't wait to get back home in Charlevoix to show off his new jump-shot in practice. Remember, there wasn't even much television back them, so the jump-shot was certainly unheard of in little, rural Charlevoix. First practice after the break, scrimmaging, coming up the floor a teammate passes on the wing to Chuck, who makes a shot-fake, a dribble and swishes a jump-shot! The whistle blows, "Time-Out!!!" - old hard-nosed Coach Ray Kipke, "What the hell was that?!!!" "Coach, I learned that at Michigan State last week... they call it a jump-shot". "Son, when you shoot, you better keep your feet on the ground like you're supposed to... damn show-off!" Coach Fairbanks is battling a malignant brain tumor right now, and I say a prayer for him every day. Players... are you serious about basketball? Do you want to do everything you can to become a great player? Are you practicing a lot, but making bad decisions during games? Coaches... are you tired of players making the same mental errors over and over? Enter >>> Applied Cognitive Engineering's Basketball IntelliGym. Practice, practice more, train and get in the weight room. Attend camps and clinics. Learn from your coaches. Look at videos and websites just like the Coach's Clipboard. All these things will help you to become a better athlete and player. But what about the mental side... mental quickness, making good decisions during games, basketball IQ, seeing the floor, court sense, etc? Up until now, coaches have thought that these things were just something you were born with, like a "gift"... not something you could actually teach or learn. This is all changing now with the Basketball IntelliGym, a program that "trains your brain". It teaches you to make better decisions, that lead to more assists and steals, fewer turnovers, better shot selection, etc.